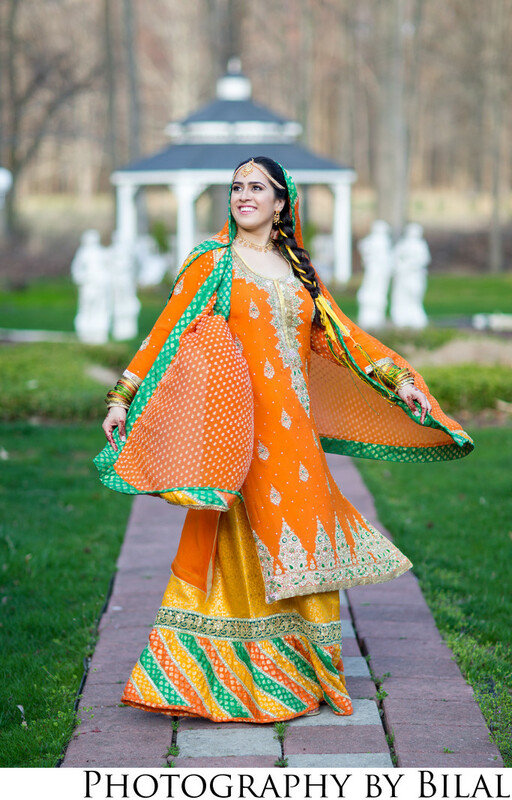 I shot this lovely image of Humaira on Day 1 of her 3 day Pakistani wedding. On the mehndi day one of the Bridal portraits I try to get is of the bride doing a happy spin. One reason I love doing this shot is because you get to see almost all the of dress as the bride is in motion. And the second reason is because it's just simply fun!